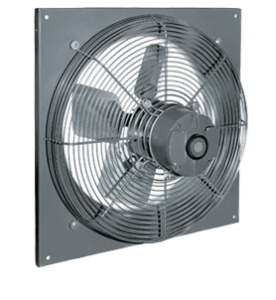 Peerless Blowers direct drive propeller fans PVL, PVM, PVH are economical fans used in kitchens, laundries, bakeries, industrial ventilation, equipment cooling, and also farm ventilation. They can be used any place where a smaller amount of ventilation is desired. Peerless Blowers offers direct drive propellers fans in 4 different sizes ranging from an 8″ propeller to a 16″ propeller. The CFM range is 273 to 1510 with up to 1″ static pressure.